I've long believed in the "Third Way". You do too, most likely. I'm sure you have used the phrase "The truth is in the middle". In this case I'm using it figuratively. When you have two dominant schools of thought with fans on either side, rabidly baring teeth and growling, they are both wrong and they are both right. With Computers, specifically Home Computers, no matter what you do you are both wrong and you are right. In the beginning there was the tinkerer. The tinkerer built machines of a handful of electronic parts, plugged it in, and hopefully it wouldn't explode. If it didn't explode you would end up with an Apple. Coming later there was a plan. The plan was to grab everything that you had sitting around, make a big pile of it all, rearrange it into something useful. Since all the parts worked, you had something that would be an IBM PC. The Apple was known as the "Walled Garden". They had a theory that as long as you stay in the Walled Garden, all will be well and no naughty things will get you. Live there and they will take care of you improving things along the way. There are benefits, and as long as you like what they are doing, the gardeners would keep you happy. But the Walled Garden has it's problems. It tends towards a stifled experience since you are limited to how the Gardeners want you to act within the Garden. Don't bring in outside Beverages or you may kill the flowers. Sure, it's an analogy but I'm on a roll here... walk with me, I need to go to the store and get some butter and some milk. Outside of the Walled Garden is a more "Open Approach". When IBM built the original PC they wanted to make it open. They sold it with two Operating Systems and it was up to you to chose what you wanted. Eventually that solidified and the market determined we'd all use DOS and creativity allowed a new business to be created. But as time went on, some folks decided that DOS wasn't the best way and they decided a more open Walled Garden would be made. Windows was created as well as it's sister OS/2. OS/2 was better at the time but due to it's not being marketed well, it failed. There was also a nasty little argument and sibling rivalry happened to kill the old way of doing things. Now Microsoft's Windows is on around 86% of the computers, Apple's OSX is on around 6%. Hold on you say, that isn't 100%, what's going on here? Sure, there are still some DOS machines around, some folks refuse to change, and there are even some of those early weird operating systems around. Together that's still only around 2%. So there is a third way - remember that? The other 6% of the market is something that "BROADLY" could be called Linux. That is inexact, there are a lot of smaller Linux-Like operating systems that are out there but they are the vast minority of the 6%. They include proprietary things like Unix which all the hoards of Linux and BSD are designed to look like and some other truly interesting things but they don't really hold significant market share. That third way of Linux (And BSD and All The Rest - Lets use "Linux" as shorthand here since that's generally how I say it) is the last Bastion of Creativity in the Operating System World. Ok everything to this point has been "setting" in this little play. So you've decided to try out linux but which one? There are hundreds of Linux-es out there that all can be tinkered with to suit what you want it to be. Linux offers you the opportunity of freedom. It is a Free Operating System. It will run your old computer as well as your new one (as long as you have the right hardware). It will run your Phone as easily as your laptop or your Mainframe (IBM went into Linux in a BIG way on those Mainframes). Linux is also the best place for someone to tinker. You could literally rewrite the entire system from scratch if you wanted to. If you didn't want it to be rewritten you could change every single aspect of what you're doing. It's up to you. It also has gotten so that it passes the Grandma Test. Download a file, burn to a DVD and put it in any PC as well as most Macs and it will start and present you with a familiar desktop. So what's the problem? Well it's only got 6% of the market. I have four machines here that run on Linux. It's a great way to make an old computer live again. One of those machines was a Dumpster Dived computer that is around 12 years old and it runs faster than some of the faster machines I've seen today. It just doesn't run all of the software I need. So how do you fix it? 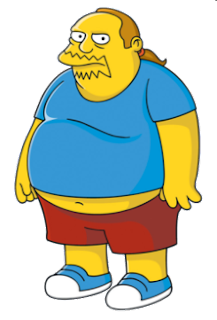 Well here's the thing, you have to depend on the Comic Book Guy. The Comic Book Guy Effect is the Problem, not the Solution. If you look like this guy then you're the problem. Ok, being catty is never a good way to discuss things, but if you're a fan of The Simpsons, you'll recognize what I'm talking about right off. This guy spouts things like some article is "Clearly Superior" or "Worst Thing Ever" in a condescending tone, doesn't look like he's "left Mom's Basement" in years, and needs some social skills. You see if you are trying to tell the world that there's something new and exciting, looking like this guy in the picture that I got from Wikipedia, does not help. Yesterday I had to laugh at exactly this situation. It was a beautiful sunny South Florida day. 90 Degrees, Brilliant Sun, warm with gentle breezes off the ocean. I was hot in my white T Shirt and cargo shorts. I went to the Fort Lauderdale CompUSA at 2PM on Sunday, September 18, 2011. I wouldn't be so judgmental if I didn't see the "Clearly Superior" effect of bad marketing laid out in front of me so unselfconsciously. You see, this is what is holding things back. I walked into the store and was looking wide eyed at some equipment that I wouldn't mind having, while knowing that there's a replacement coming to the stores in a couple weeks. Yeah I read too much for my own good, what of it? I saw going past me in a washed out grey streak the poster child for "Get out of your Mom's Basement" followed by "Grizzly Adams". "Mom's Basement" had a picture of Tux the Penguin, the Linux Mascot on the back of his washed out and formerly black T Shirt. 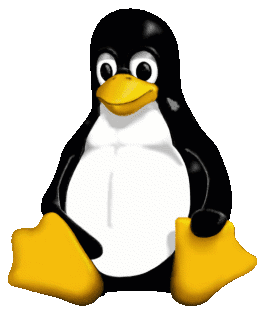 Tux makes me smile and I thought there goes someone who uses Linux. Ok, so there's room for everyone at the table. It's a big buffet and everyone is welcome. We NEED geeks. These are the folks who solve the hard problems. They will fix your PC and make it better. Don't ask them to explain what they did or you're in trouble. And that in a nutshell is what seems to be holding back Linux. It CAN be difficult. It IS being worked on so it passes the Grandma Test - remember that? These Geeks are writing some amazing software that you will never think of but it makes the world go around. However, would you hire them? Would you want Grizzly Adams in your posh office whether or not he runs the computer in the back room? Would you want to be the person to tell "Mom's Basement" that like I overheard the 7th grade Gym Teacher say "Showers are Mandatory" when he boomed into the gym at Heritage Junior High oh so many years ago? Most likely he'd end up back in Mom's Basement writing some more amazing code that will get used somewhere, and make the Third Way a little more palatable to the general public. Why did this stick in my head so well? Well as I stood looking at the prices on the Hard Drives for my laptop which were too high, I'll look online later, I heard the two of them talk. It was one condescending comment over "THOSE people who use (gasp) Mac or worse! Windows!" after another. You see people use their computers for different reasons. If you're not actually doing graphics or writing the worlds next War and Peace, you can use anything you like. You could write emails on a phone or an iPad or a desktop computer. Grandma does not need a gamer's rig of the latest barn burning hardware, she may be best off with an older laptop plugged into the TV so she can see it. Dad may only want to get on Facebook or play a few online games and catch up on The Scores. Dad's going to be tougher to deal with because if that Dad doesn't know what he wants, some person in a big box store is going to sell him more than he needs and make the store a bigger commission. Computers are like shoes. We all have different needs and different uses. After a while our new shiny thing will stink just like the year old running shoes that you left on the back porch because you stepped on something rude that some fool didn't pick up from Fido. Being condescending and rude never works. Especially if you're making yourself out to be the Poster Child for the Third Way with Tux on your back. So for now, I have some things to do on my Windows machine. I wrote this on my 12 year old laptop that was discarded that runs Linux. Later on I want to get onto the Mac OSX desktop and see if a file is there. They're all good, they all have their strengths and weaknesses.... and I even showered today too since I got out of Mom's Basement years ago!